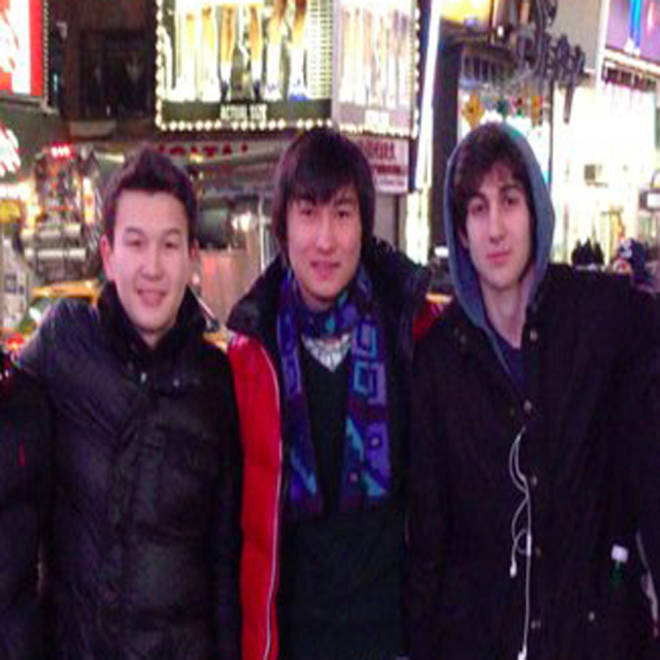 Azamat Tazhayakov (left), Dias Kadyrbayev, and Dzhokhar Tsarnaev (right) in a photo taken in Times Square. The picture, which appeared on Tsarnaev's page on VKontakt, the Russian equivalent of Facebook, is believed to be from November 2012. Attorneys for the three suspects that were arrested for allegedly assisting in the Boston Marathon bombing maintain their clients' innocence and say that they were shocked by the attack. 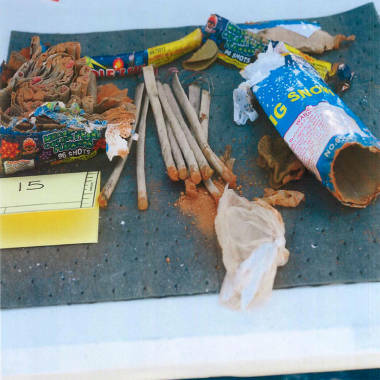 This May 1, 2013 FBI handout image released in a criminal complaint, shows fireworks tubes found in a backpack that was disposed of by friends of Boston Marathon bomber Dzhokhar Tsarnaev. 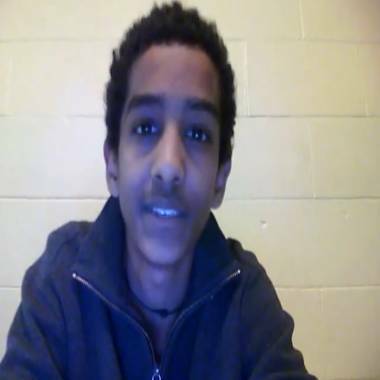 This still image is taken from a YouTube video made by Robel Phillipos. Tsarnaev fired off a flurry of texts, including, "lol," "you better not text me" and "come to my room and take whatever you want," the court papers said. The trio then met at Tsarnaev's dorm room, where they learned he had already left and were let in by his roommate. They also took a laptop – now turned over to the FBI, according to Kadyrbayev's attorney — because they didn't want to arouse the roommate's suspicions about the backpack, the document said. After leaving the dorm, the three friends "started to freak out" because they realized Tsarnaev was wanted in the bombing, Phillipos said, according to the feds. They then "collectively decided to throw the backpack and fireworks into the trash because they did not want Tsarnaev to get in trouble," Kadyrbayev told agents, according to the complaint. The suspects' statements clashed on whether that happened the night of the April 18, before Tsarnaev was formally identified as the accused bomber, or the morning after – an important point if their defense is that they had no idea the items could be evidence. Investigators have been trying to determine if pair – ethnic Chechens who had lived in the U.S. for more than a decade — they received assistance from anyone else in the U.S. or abroad. 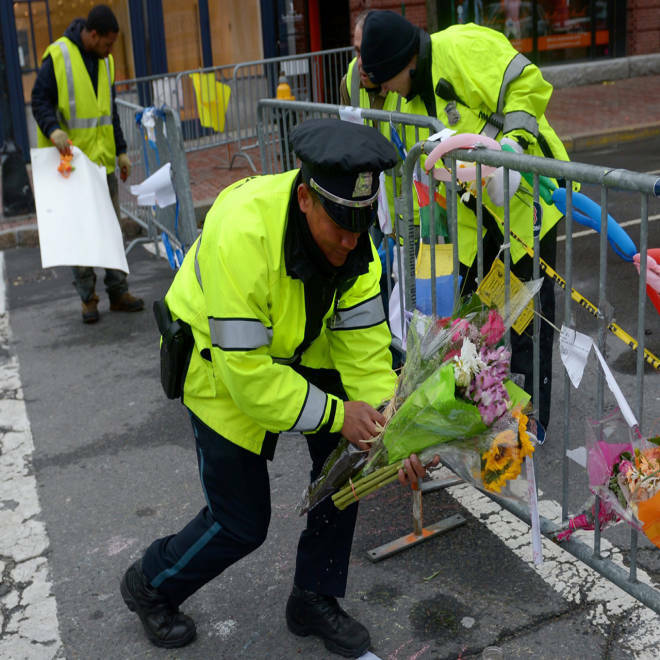 Heightened security, empty streets, and memorials mark the the days after the Boston Marathon bombings.